CPE150 is a 150Mbps outdoor long distance wireless AP/CPE with Qualcomm Chipset, build in 12dBi high gain directional antenna, 2KM point to point distance. 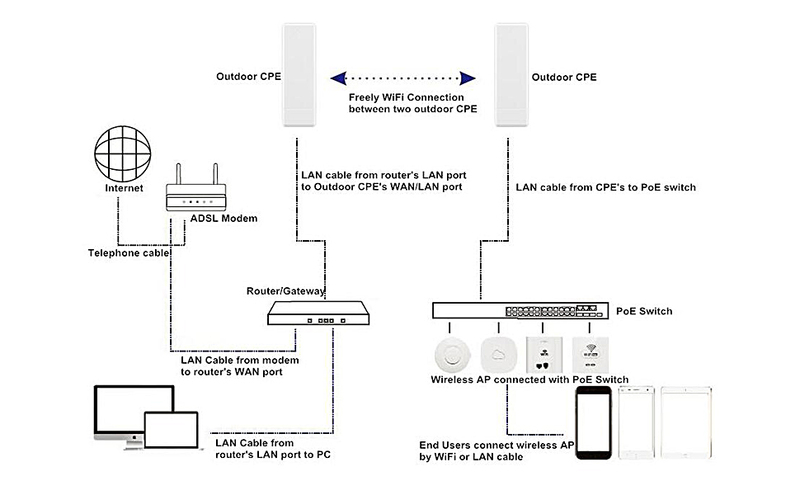 It support Wireless AP, Gateway, WISP, Wireless Bridge operation mode, effective solution for PTP, PTMP application and outdoor long range wifi coverage application. 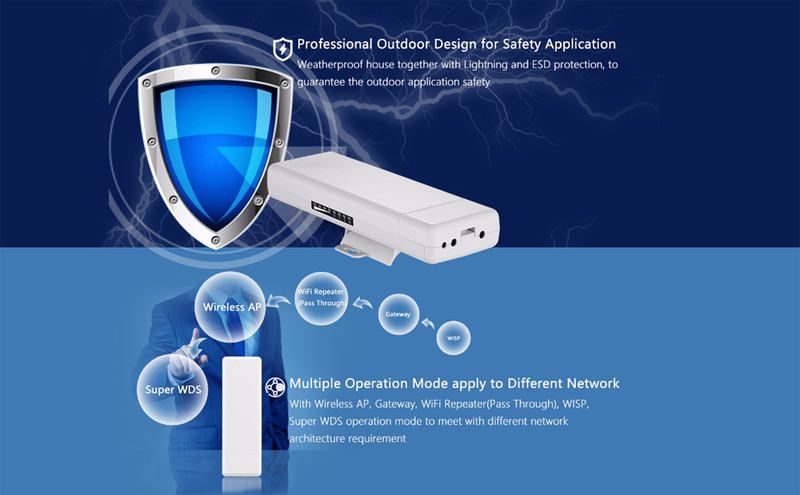 With an outdoor waterproof and dustproof enclosure,buidling in lighting protection IC, support 24V passive PoE, CPE150 can be used in various weather conditions.